FAIRFIELD — A new ordinance could help kickstart the town’s efforts to increase affordable housing in Fairfield. The Representative Town Meeting recently unanimously adopted an ordinance establishing a housing trust fund. The ordinance had bipartisan sponsorship. Now, the Town Planning and Zoning Commission will need to adopt regulations making the ordinance a reality. The trust fund was recommended by the updated Affordable Housing Plan as well as the TPZ’s Plan of Conservation and Development. “I expect that the Affordable Housing Committee will be making an application, or a request for the TPZ to do so, to propose a regulation for a new inclusionary fee now that the trust fund is established,” Planning Director James Wendt said. He said he has not seen any proposals as of yet and isn’t sure at this point what the ultimate process will be. However the trust fund comes into being, officials whose goal it is to provide affordable housing are happy with the news. The ordinance adopted allows for funds to come from all those sources cited by Grathwohl. Any expenditures must first be approved by the Affordable Housing Committee and the Community and Economic Development director, and then by the Board of Selectmen. “I just finished reading the ordinance, and certainly, from my vantage point, any fund created to support more affordable housing opportunities in Fairfield is well-needed,” said Carol Martin, executive director of the Fairfield Housing Authority. Westport, where Martin also heads up the Housing Authority, has a Planning and Zoning Commission subcommittee to make recommendations to existing regulations, including discussion of a housing fund. New Canaan has had a housing trust fund since 2005. All applications in New Canaan for a zoning permit for any building construction or addition in any zone require a fee of $10 for every $1,000 of construction value. That money goes into the housing fund, and in 2014, estimated that $2.5 million had been collected and $900,000 distributed to support affordable housing. 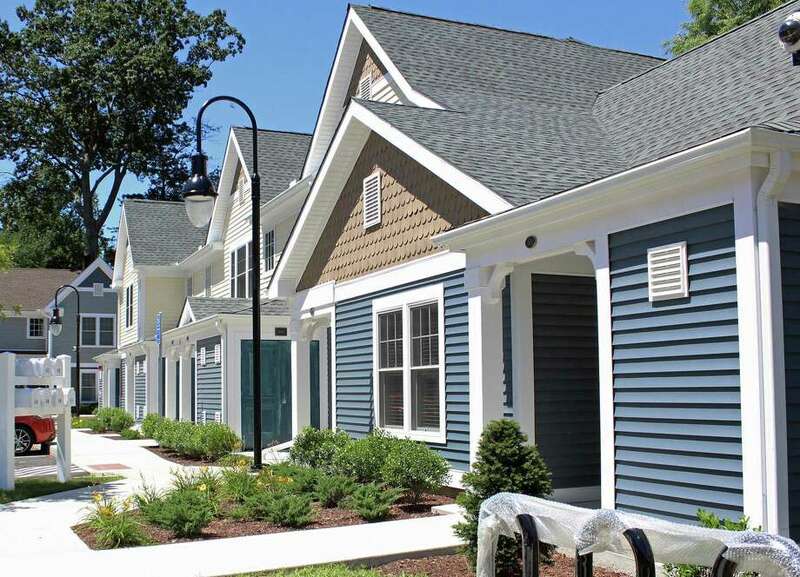 Connecticut General Statues allow any town to implement “inclusionary” zoning regulations to promote the development of affordable housing. Those regulations include making payments to a housing trust fund to be used for constructing, rehabilitating, or repairing affordable housing. “It’s another tool that we can use to help create additional housing options,” Community and Economic Development Director Mark Barnhart said, adding the Affordable Housing Committee modeled their fund using the experiences of other communities.